Wouldn’t it be nice if you never had to do any maintenance on your car? Unfortunately, the complex moving parts in your car do require regular attention. One of the most frequent maintenance requirements is an oil change. While you might be tempted to delay your oil changes, it will cause bigger problems down the road if you do. Oil is essentially the blood of your vehicle’s engine. Its purpose is to keep everything running smoothly and prevent the buildup of dirt and other particles by carrying it out of the engine. Over time, the oil will begin to break down due to the collected dirt and high temperatures under the hood, which is called thermal breakdown. When this happens, the oil can thicken and turn into sludge. The sludge blocks the flow of oil in the engine, and essential parts like the crankshafts, camshafts, and valves will begin to wear down because the oil usually keeps the moving parts from rubbing against each other. Without the necessary lubrication, your engine can suffer major damage and ultimately need a partial rebuild or total replacement. If you skipped an oil change, you can go to any mechanic and have your engine tested to see if there’s any impending damages or repairs needed. Changing your oil periodically is an inexpensive way to maintain your car for the long run. If you need an oil change or would like to diagnose your engine, contact us at James Ceranti Nissan and we’ll be glad to take care of you. 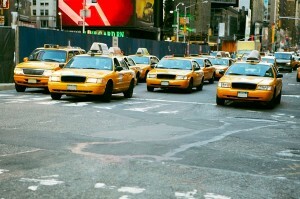 As New York retires the old Crown Victoria model taxis, a new replacement is taking to the streets. The 2015 Nissan NV200 minivan is the new, official taxi of Manhattan. April 20, 2015 is the official start date of New York’s ‘Taxi of Tomorrow’ program. Shortly following its debut onto the streets of the United States, the 2015 Nissan NV200 will even be welcomed in Japan, starting in June 2015. According to the Nissan Motor Corporation, the ‘Taxi of Tomorrow’ has many features a normal taxi does not. With enough space in the luggage compartment to fit up to four large suitcases, passengers are welcomed with plenty of space. Sliding doors and electric slide steps allow easy access for those who may be too big, small, young, or old to enter or exit the vehicle by normal means. For those who always need to be connected, a 12-volt outlet is available for smart phones. 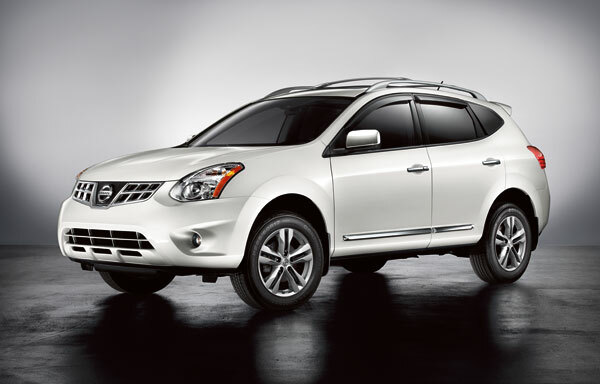 Last month, Nissan celebrated its 80-year anniversary. While the company’s official birthday was Dec. 26, Nissan commemorated the milestone with the Nissan Heritage Car Parade three days earlier. Over 100 vehicles were driven through the streets of Yokohama, Japan, where Nissan’s headquarters are located, providing onlookers with a vivid display of the automaker’s history. The oldest car was a 1935 Datsun 14 Phaeton whose owner transported the vehicle over 600 kilometers to be driven in the parade. “We are here today to celebrate 80 years since the establishment of Nissan, and we have gathered cars from all ages. These cars are a testament to the history of Nissan, and the source of much innovation and excitement over the years,” said Toshiyuki Shiga, Nissan’s vice chairman. The parade was the culminating event in a year of celebrations honoring eight decades of Nissan innovation. We may not have been there for all 80 years, but at James Ceranti Nissan, we sure are grateful for Nissan’s rich history and the numerous advancements that have been made since 1933. The bubbly yellow Nissan NV200 has been getting a lot of attention lately as New York Mayor Michael Bloomberg has been attempting to establish a mandate that would require all NYC cab companies and drivers to make a switch to the Nissan taxi. Bloomberg was hoping to require the swapping out of all 15,000+ taxis in the Big Apple to Nissan’s “Taxi of Tomorrow” within the next three-to-five years. As you can imagine, this subject has been a controversial one, regardless of the quality of the NV200. Unfortunately for Bloomberg, his plans have encountered a major bump in the road—Supreme Court Justice Shlomo Hagler. Hagler has deemed that the mandate is an overstepping of boundaries, meaning that unless Bloomberg’s appeal can make it past the Supreme Court, there will be no requirement for NYC taxi drivers and companies to purchase the Nissan cabs. Even if the mandate does not come to fruition the Nissan NV200s have gone on sale at New York dealerships, and some drivers have taken it upon themselves to purchase them anyway. What do you think the New York justice system will rule about Bloomberg’s mandate? Will the Nissan NV200 end up being the Taxi of Tomorrow? Long gone are the days of $.30 gas, and full service stations. Nowadays, you’ll be lucky to fill your tank for under $3.50 a gallon! But the future of fuel in here, and Nissan talks a bit about new charging stations for Electric Vehicles. In 97 years, Charlie Yaeger has driven everything from a Ford Model T to a Nissan Maxima, but his most recent vehicle is the new Nissan Leaf. Yaeger says it wasn’t as easy driving 80 years ago as it is today. Gas stations weren’t as common, and most drivers had to memorize their locations. It was also much more common to blow out tires on gravelly roads. “You had to pretty well memorize where gas stations were and where you could get off the road and have a chance of getting back on after you repaired the tire,” he said. The only “super highway” at the time was the 60-mile concrete highway between Chicago and Danville, IL. It only had two 12-foot lanes of concrete with no shoulder. All these years later, history is slowly repeating itself. Because Nissan has sold more than 50,000 Leafs worldwide, the need for EV charging infrastructure is growing. To make the gas-to-electricity transition easier, smart phones show EV drivers where to charge. Check out this video below to see the full interview with Charlie Yaeger. If you’ve never heard of Advanced High Tensile Strength Steel (AHSS), that’s okay. We’re here to explain it to you. Nissan Motor Co. just announced that it plans to use a whole lot more AHSS in up to 25 percent of the vehicle parts installed in its new production models. To help reduce vehicle weight, this will go into effect in 2017. Nissan has developed Ultra High Tensile Strength Steel with High Formability-also known as 1.2 GPa- and has installed it in the new Infiniti Q50, which goes on sale in North America in 2013. Prior to the development of 1.2 GPa, high strength steel has been difficult to use for vehicle parts with complex shapes. Nissan continues to be the only auto manufacturer using 1.2 GPa. It provides greater elongation and offers strength and high formability. Now it can be used for complex shaped parts, which have been near impossible in the past. In addition, employing 1.2 GPa high tensile strength steel leads to fewer materials used per vehicle produced, and existing production lines can be used without a big modification. This results in a reduction in total cost per unit, reduced weight and better fuel economy. This is part of Nissan’s Green Program 2016. 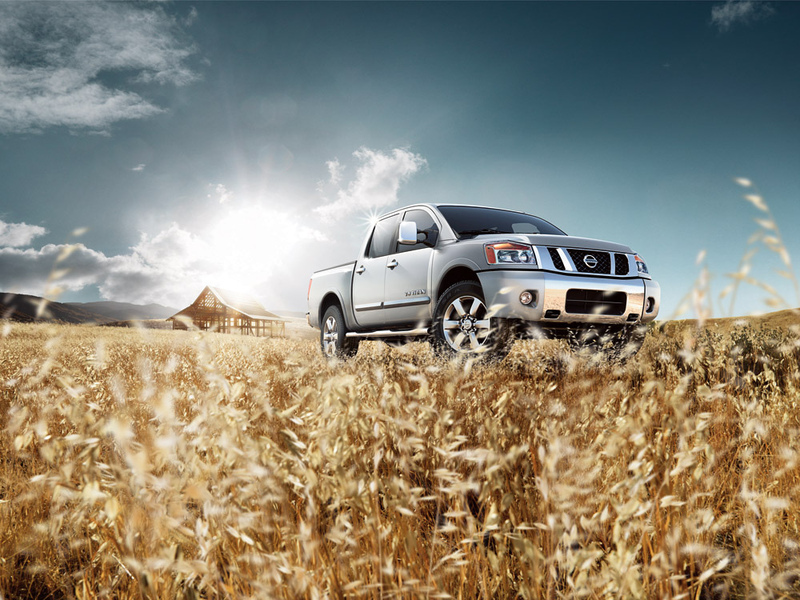 For more information on the latest Nissan news, keep checking back to our blog. For new Nissan vehicle updates, please visit www.jamescerantinissan.net.